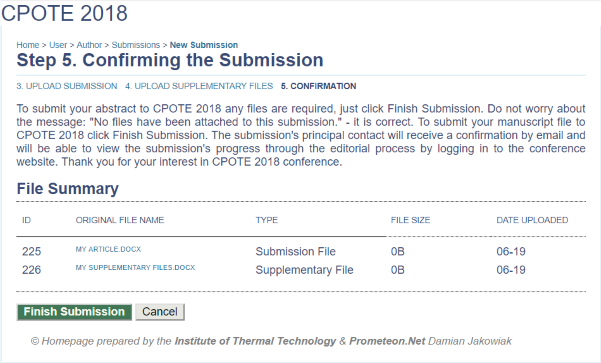 Click on "Awaiting upload" in line with appropriate article, in this case; it is "Próba". 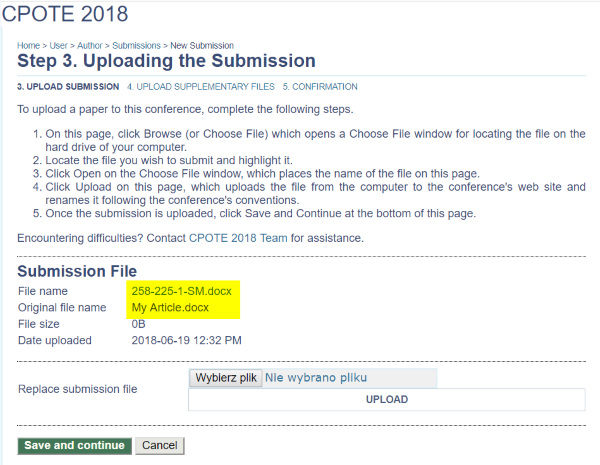 After choosing the file (in this case "My Article.docs"), click the button upload. 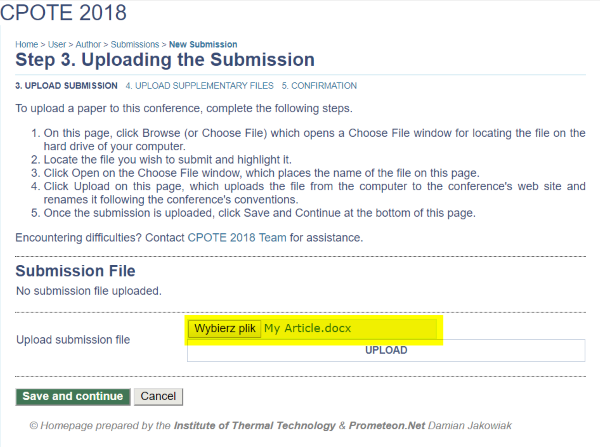 After uploading your file, you will see the article with the name given by the system and your original file. Then click the button "Save and continue." 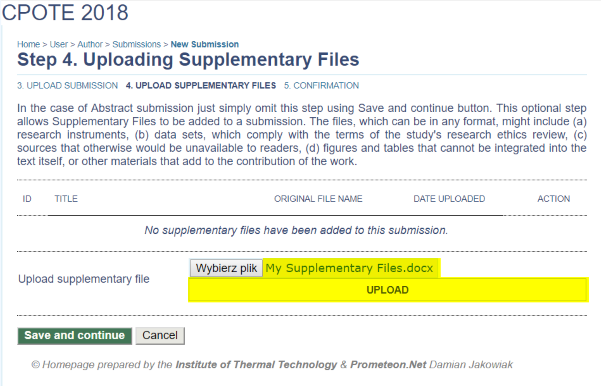 If you have any additional files, you can upload them as well. 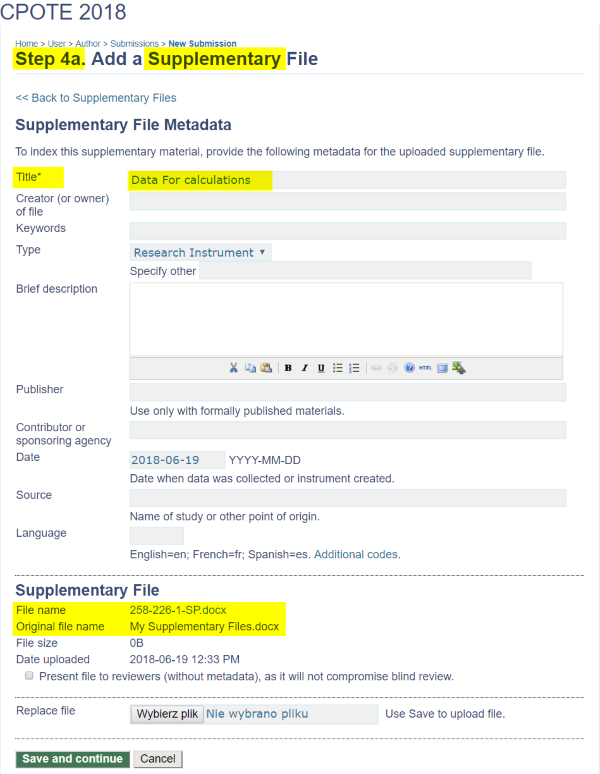 The procedure for uploading the supplementary files is similar to uploading the article. 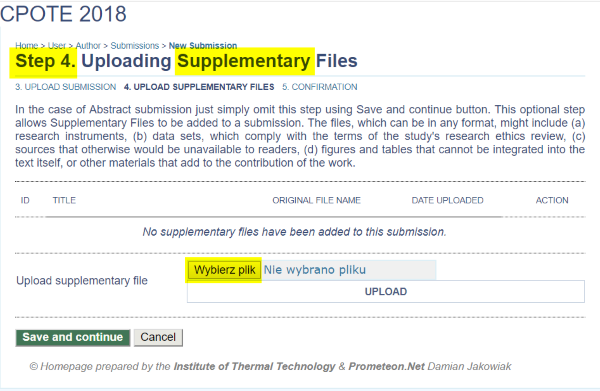 However, in this case, the name for supplementary files is required. 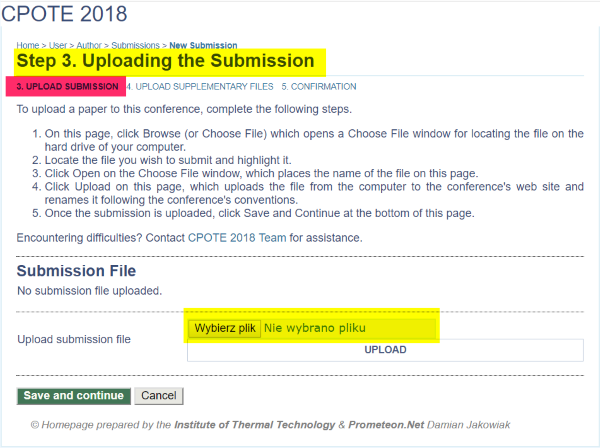 After uploading all files, you will see them listed on the screen. Then click the button "Save and continue." The procedure is almost finished. You will receive the e-mail with information that the documents are uploaded. Here you can see that the paper is under review process.